Yellow gold-filled ring is made from flat wire and offers a hammered, bright finish. The ring looks great when worn alone as a simple accent piece or stackable rings or can be added to an existing collection to create an individual, changeable look. 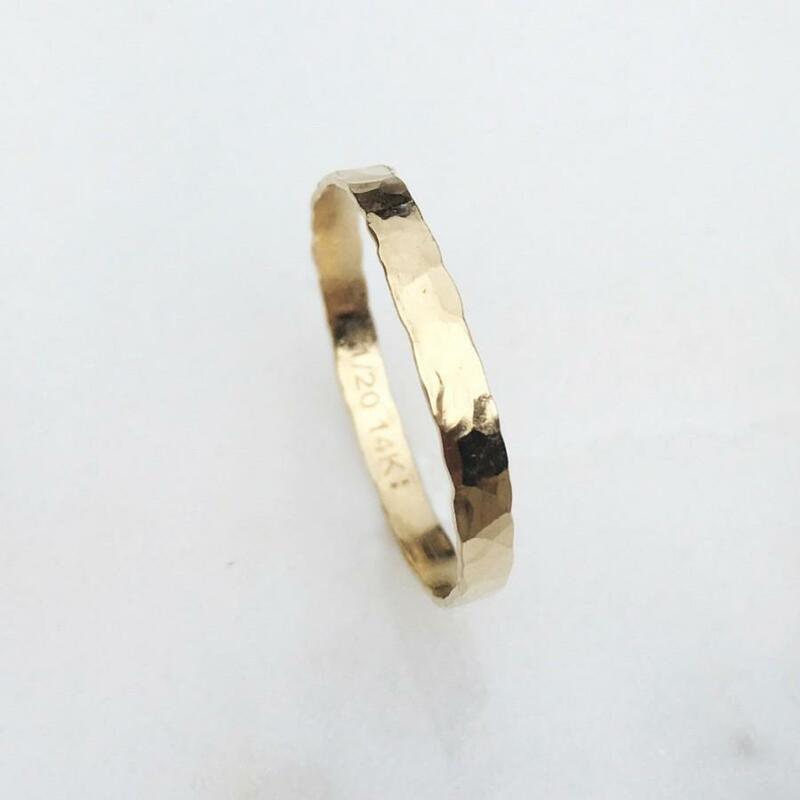 Metal type: 14k Gold filled Just over 2 millimeters wide Sizes: Available in four different US ring sizes 7, 8, 9 and 10. Collectively, these ring sizes should fit most.